I remember getting yelled for handing in a dotmatrix printed school report. I was told I MUST write in cursive because that is what I’d use in a job. I replied I hope to one day not have to write by hand because iStink at it. One of my few memorable shopping experiences as a kid was with my dad visiting the store that sold Apples. My first was an Apple IIc. (For those of younger generations, it ran by putting in 5 1/2” floppy disks.) I remember the advent of the mouse and the creative fun that could result. I developed my love of writing & stories, and of design. In school they had the next best thing Apple produced, the Mac. In high school I had the privilege of being on the technology committee, was the first to use CAD in design & architecture class via a Mac that had a whopping 2mb memory. My home Mac was a performa, while slower and less robust outperformed my PC beasts needed due to college. 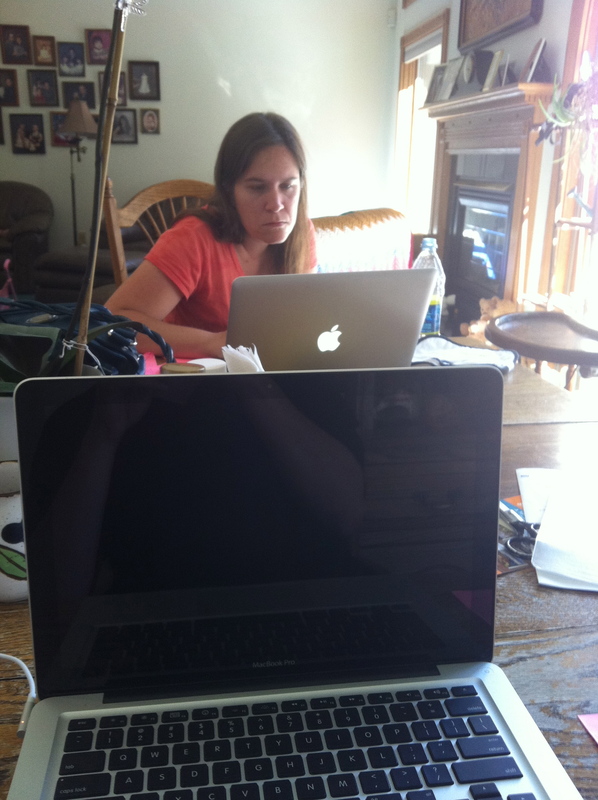 Lesson plans, study guides, school reports, and of course writing stories all done on a Mac. My college years with a PC, not scottish. Out of college, I went back to the Mac. I remember the days when people said the Mac was dead. I also remember the days before the iPod and the iPhone. I loved watching keynotes because they were just awesome. They got me thinking about what I loved most, ministry. Men love their tools, and my tool of choice is the Mac. It reminds me of the importance of substance & design, of creativity & usefulness. God designed us to create and to work. God designed within us an appreciation for design. Just gaze at sunsets and you’ll see what I mean. I don’t always get God’s plan. Great minds are rare and each generation is lucky to have one or two. We appreciate the image of God in them, accept their flaws, and pray their soul matches their greatness. The thing about death, it points us to the hope of all things being new. I appreciate Steve’s story. I appreciate the work he did that makes my job easier and more enjoyable. I thank God who gives us people unique abilities which keep life interesting. Ok, iCal is telling me its time to get back to sermon prep….